Private Formula Vitamin Infused Micellar Cleansing Water is a unique all-in-one cleanser with suspended Vitamin A and E infused capsules to gently dissolve and lift away make-up and impurities without the need for rinsing. Private Formula Vitamin Infused Micellar Cleansing Water is a soap-free all-in-one cleanser to gently dissolve and lift away make-up and impurities without the need for rinsing. Suspended Vitamin A and E infused capsules, gently burst and absorb on contact with the skin, instantly helping to nourish and hydrate in one easy step. Suitable for all skin types. For face, lips and eyes. Does the Private Formula Micellar Water contain micro beads? Absolutely not. The tiny milicapsules suspended in Dr. LeWinn's Private Formula Micellar Water are soft shell capsules made of natural materials, which gently burst and break down on contact with the skin and are absorbed during the cleansing process. They are environmentally friendly and are not a water pollution hazard and do not put marine life at risk. The milicapsules contain Vitamin A & E and are composed of natural materials including lactose, cellulose, sucrose and corn starch. Microbeads however, are plastic beads which do not break down and infiltrate the water systems, causing a significant pollution hazard to marine life. 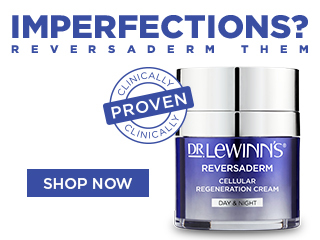 We are pleased to confirm that no Dr. LeWinn's proucts contain microbeads of any nature. Apply to a cotton pad and gently apply over eyes, face, neck and lips. Re-apply until cotton pad becomes clear. Use twice daily or as often as required. No rinsing required. To complete your skincare regime, follow with the Private Formula range.